Wait, they are – at least, Bodum’s essentials are! 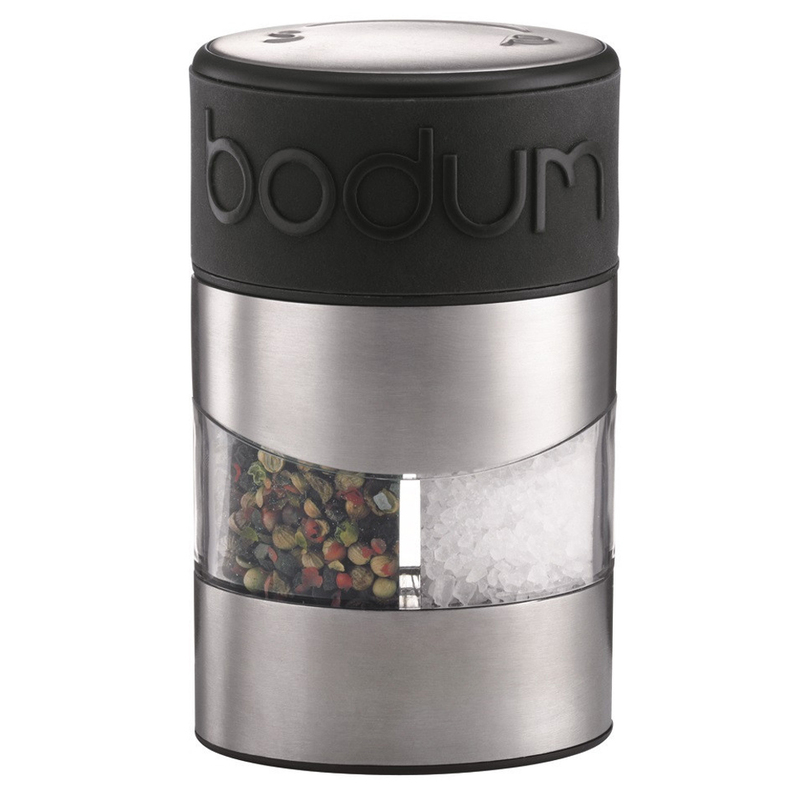 Their Twin Salt and Pepper Grinders are ideal to have on hand on the kitchen, thanks to their ingenious operation: simply twist their tops clockwise to grind pepper, or counter-clockwise to grind salt! Made from a combination of colourful silicone and matte stainless steel, these Twin Salt and Pepper Grinders also use a ceramic grinding mechanism that is resistant to corrosion and will not absorb flavours. Made from acrylic, stainless steel and silicone. Twist counter-clockwise to dispense pepper, and clockwise to dispense salt. Ceramic grinding mechanisms are resistant to corrosion and will not take on flavours. Circular shape at top tapers down into an oval at the base. Dimensions: 11cm (h) x 7cm (w).